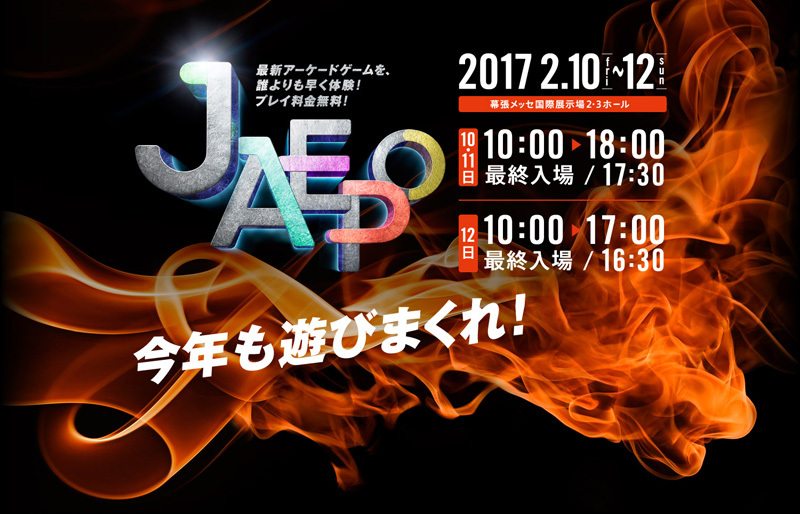 The Japan Amusement Expo 2017 will be held at the Makuhari Messe in Chiba from February 10 to 12. The first day is reserved to the professionals and the other days are public days. 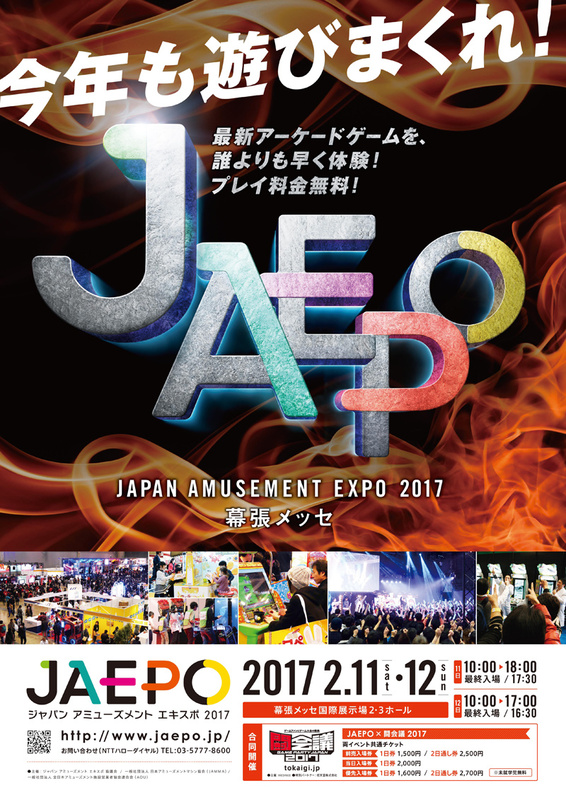 La Japan Amusement Expo 2017 se tiendra au Makuhari Messe de Chiba du 10 au 12 février. Le 1er jour est réservés aux professionnels et les deux autres jours sont ouverts au public. Capcom and Taito games list updated. Bandai Namco game list updated.